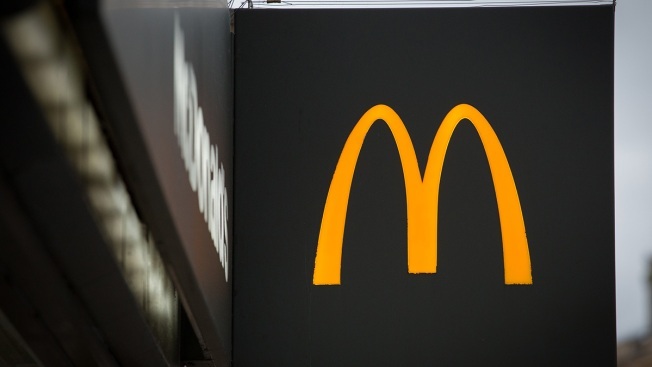 A branch of McDonald's is pictured on February 19, 2018 in Bath, England. More than a decade after severing ties with the fast food chain, Disney is re-partnering with McDonald’s with plans to bring Disney-brand toys back to children’s Happy Meals. The two brands originally parted ways at a time when rising childhood obesity was making headlines and sparking concern over the high-calorie kids’ meals typically offered by fast food chains like the iconic McDonald’s Happy Meal. The chain once known for its cheeseburgers and fries is making efforts to shape up its image and in February announced a revamp of the Happy Meal menu, trading the burgers and chocolate milk for selections lower in calories, sodium, saturated fat and sugar, CNBC reported. The companies plan to be back together in time for the release of of Disney’s ”Incredibles 2." The burger chain plans to promote "Wreck-It Ralph 2: Ralph Breaks the Internet" in November.